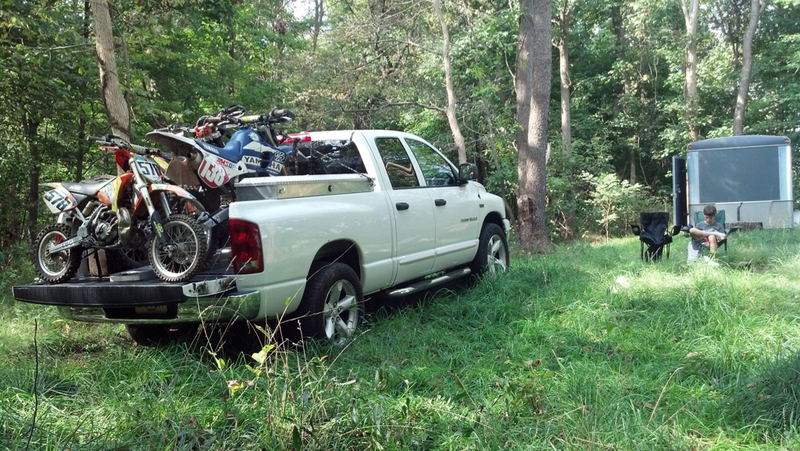 Show us your toy hauler! - Page 3 - DAMN Riders - No rules, Just ride! I have to sleep diagonally in it and it's still tight, but just enough space to be comfortable. Anyone over 6' tall would have a problem in there, though. That's a very nice setup you've got there Jed! I never even thought of sleeping in the back of the sorento, which is kind of weird as I did sleep in the back of our toyota matrix (the matrix is pretty nice as it has a completely flat cargo floor with the back seats down). The sorento and the matrix have about the same amount of space in the back. I can nap on the back seat of the pickup but it's a little short for overnight sleeping. If I was 5'5" it would be fine but at a stately 5'7" it doesn't quite work. I did make sure to get at least the 6'4" bed so I can sleep back there if I ever get a cap. I sleep on the bench seat of my F250. There's a joke about KTM riders in there somewhere, there's gotta be! Heh, I would rather have a bench seat than the 40/20/40 setup I've got. It'd be better for sleeping on than the small back seat I've got. 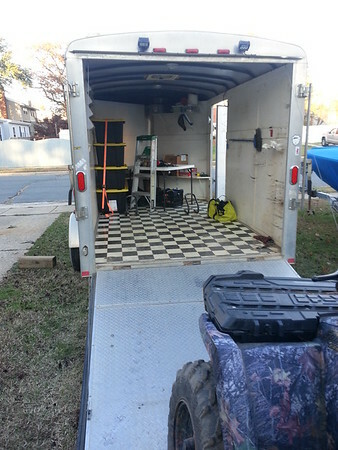 I'll let him do the 'splaining except to say this trailer came from a engine builder/machinist friend of his. Dude's name is Patrick so you know he's cool! He's the guy that built the 434 in my Dizzer. 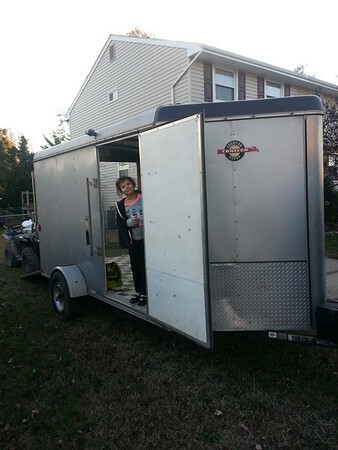 Anyway, I told him that if Junior didn't buy this trailer I definitely would! Sweet trailer! Thanks for the host Wing! 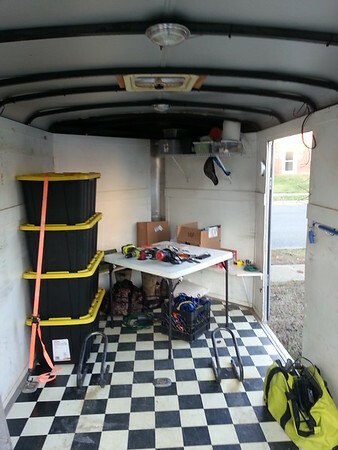 This is my 7x12 vee noise tall trailer. I haven`t got to do much to it yet. Added some lights on the outside that come on with the reverse lights of the truck or can be turned on manually.Right now I use it as a mobile hunting dressing room. I love this thing! I hope to add a couple of windows and a few other goods at some point. You need a bigger truck.